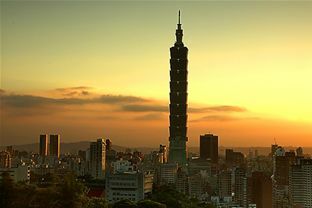 Taipei 101 is aiming to be recognised as the worldâ€™s first tall green building. The landmark skyscraper situated in the Taiwanese capital held the title of the worldâ€™s tallest building until 2010 following the opening of the Burj Khalifa in Dubai. Covering over two million square feet with 101 floors and housing some 12,000 employees, running the building is like managing a town. Cathy Yang, Vice President of Taipei 101 explains how she sees Asian property evolving in the future especially when it comes to tall buildings. Yang is a speaker at the marcus evans Asian Infrastructure & Property Development Summit taking place on 4-6 July in Macao. In light of skyrocketing populations and booming economic activity in Asia growth and conservation do not have to be mutually exclusive, she explains. â€œThere are developers who want to build super tall buildings and we hope they would incorporate green features in the design and pay attention to continuing this into the operation stage. These two elements donâ€™t have to contradict each other. â€œWith a tall building like Taipei 101, you can still put a lot of the sustainable features in the building design and continue on to become greener when it is operational. Every city needs to grow and a developer can build a good building as well as heed the requirement for sustainability. Itâ€™s good for both the developer and the tenants as there is less of an energy bill and they feel good about working in a green building. Taipei 101 is working towards LEED-platinum certification from the US Green Building Council (GBC) which it expects to be awarded later this summer. The marcus evans Asian Infrastructure & Property Development Summit, will take place on 4-6 July in Macao.